The article is about junior mining companies internationally and in Russia. It starts with discussion over the Canadian concept of junior mining companies as publicly listed startups in mining industry involved in early stage projects at mostly prospecting and exploration stages, less often – pre-development and production. Companies usually have small market cap, financed by equity issues, targets usually one or a few projects. The final product of a junior company is usually a project worth further investments and developments. Then discussion moves into the junior companies on the Russian market. They are very few compared to the wealth of natural resources in Russia and they are rarely publicly listed but mostly exist in format of private limited liability companies with 1 or sometimes several owners. 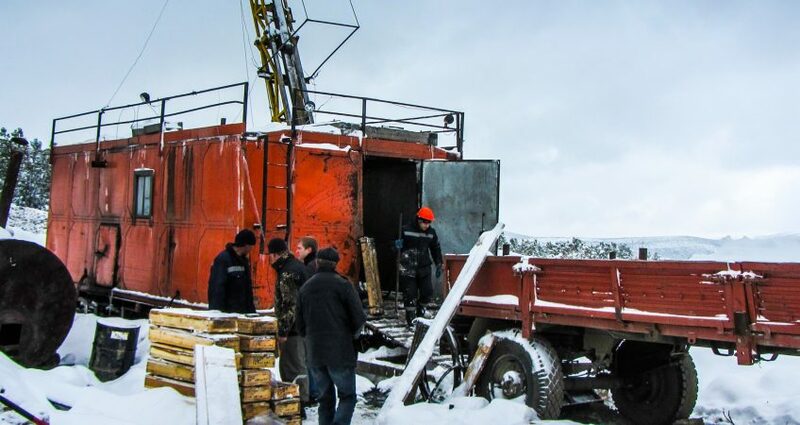 The junior mining companies in Russia has limited development due to the lack of private investors and immature stock market to raise capital from. Other end side, there is a lack of demand for the projects from junior companies due to the limited number of mid-size and major gold producers. Most of private investors in early-stage mining projects are not professional investors. The main issue for them in such a project is the quality management of the exploration process. Very few mineralizations make deposits and later mines. But all of them need to be reviewed and prioritized to find the few with the most potential. Then concentrate further activities on the best and sort them out further to make the one discovery. None geologist can tell in advance which mineralization will make a deposit. Therefore, Kopy Goldfields concentrates on controlling risks in exploration process by picking up the most promising grounds in first run, then by spending only on the best projects out of them and by proceeding only as long justified. Kopy GF holds one of the biggest ground area Bodaibo region. Our licenses contain numerous gold mineralizations and we can afford to prospect only the best of them and sort out early low potential targets. Only a handful of all practicing geologists are making a discovery in their whole professional life. We have already done one in Krasny and have all the reasons to expect more in the coming years. Kopy Goldfields AB is described as a true junior mining company with an exciting and bumpy development history. Kopy GF is registered and listed in Sweden, which has a very developed stock market and comfortable administrative and business climate. This year Kopy GF will celebrate its 10th year anniversary, which is a long period for a junior company and especially for Russia that has a very short modern market history. Kopy GF developed from one Kopylovskoye license and project into the current 11 gold bedrock licenses and 3 projects. The Company managed to find a partner for the Krasny which is currently developed into FS and production with Kopy GF running the 6 MUSD exploration program for the last 3 years. On top of Krasny, the Company develops other exiting projects like Northern Territories with tremendous exploration potential.